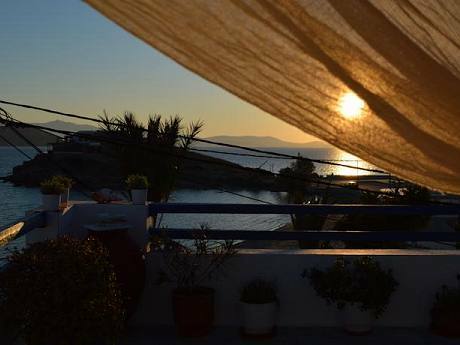 Saint George Hotel in Naxos Island, is perfectly situated on the golden sandy beach of Saint George Bay in Naxos Town (Hora) of Naxos, just 10 meters from the sea and offers marvellous sea views over the magnificent bay. 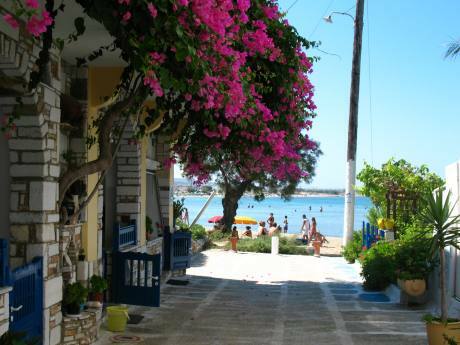 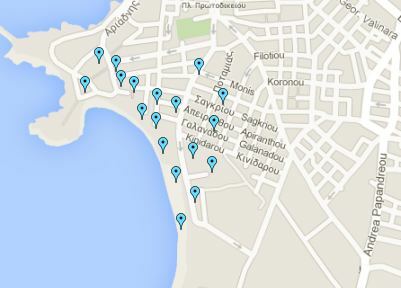 Being on the beach and very close to Naxos Town main square, Saint George Hotel is the ideal place for beach lovers. 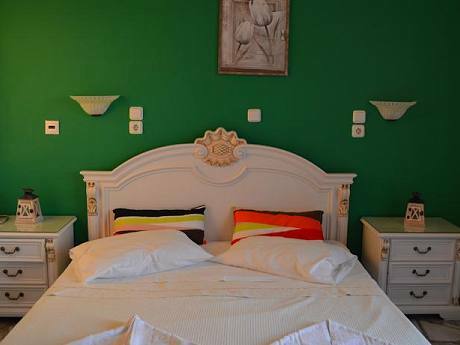 The hotel is right next to all amenities such as beach restaurants, beach bars, water sport facilities, mini markets, motor and car rentals and indeed everything you may need on your holidays. 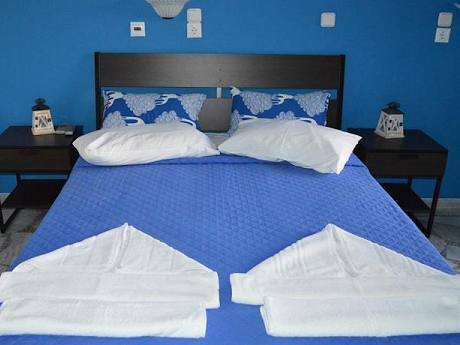 Hotel facilities and services: Air-conditioning, free internet access, 24 hrs hot water, satellite TV, laundry service (extra charge), daily maid, car and motorbike rentals assistance, free transfer to / from the port, major credit cards are accepted. 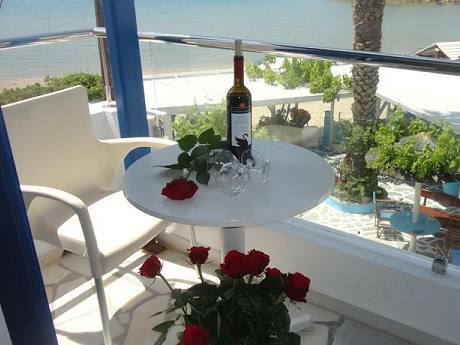 Room facilities and services: Air-conditioning, balcony or verand,free internet access, refrigerator, kettle, kitchenette (in the studios), safe box.